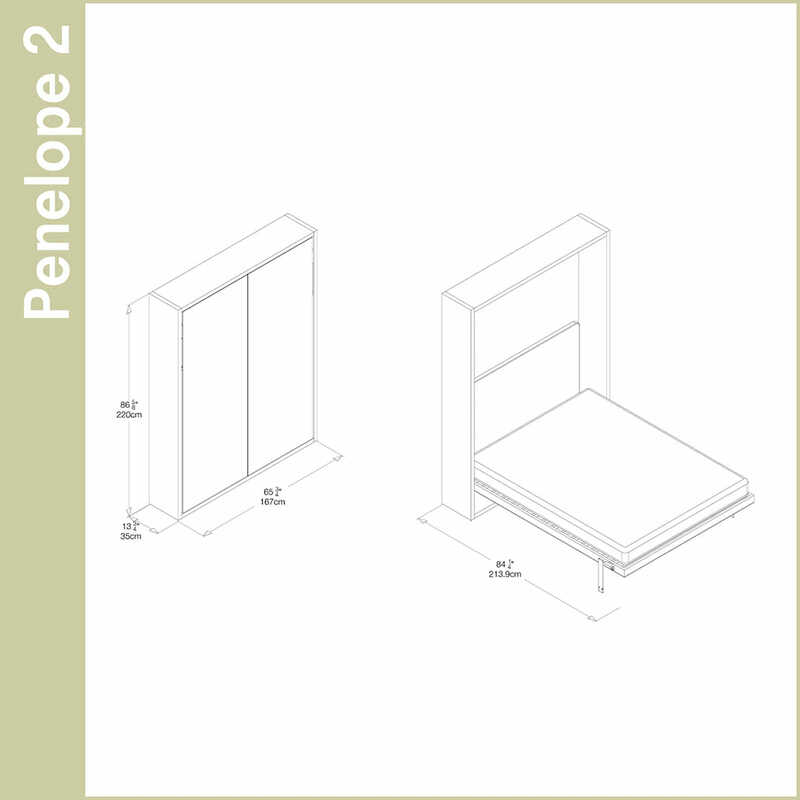 Scroll down for additional configurations or browse all Quick Ship Penelope options. The Penelope is a sophisticated queen-size wall bed from the Clei collection. This elegant space-saving Murphy bed offers you a modern solution to maximizing your space without sacrificing comfort, style or functionality. The Penelope can be installed in virtually any room, creating a contemporary bedroom before folding up to reveal more open living space. Available in a wide variety of finishes.